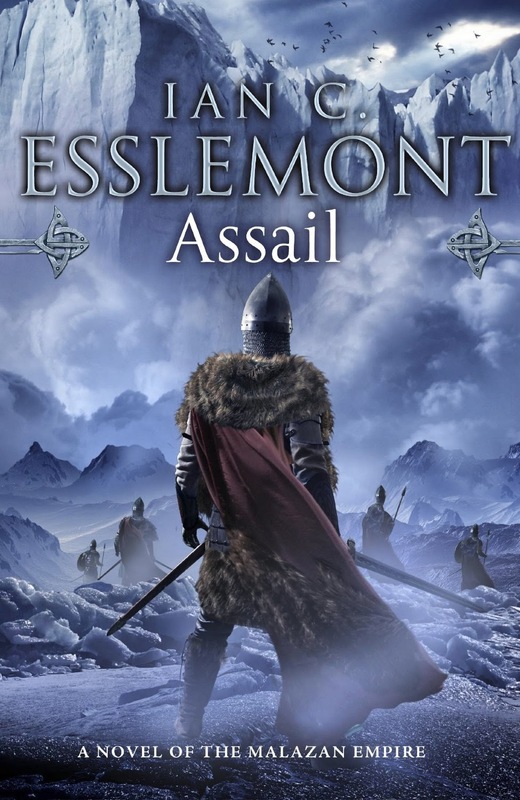 Here is is, the cover art for the sixth and final book in the Malazan Empire series by Ian C. Esslemont, Assail. It's not amazing but it will fit with its brethren. And lastly, far to the south, a woman guards the shore awaiting both her allies and her enemies. Silverfox, newly incarnated Summoner of the undying army of the T'lan Imass, will do anything to stop the renewal of an ages-old crusade that could lay waste to the entire continent and beyond. Casting light on mysteries spanning the Malazan empire, and offering a glimpse of the storied and epic history that shaped it, "Assail" is the final chapter in the epic story of the Empire of Malaz.